Does Chamomile Tea Have L-Theanine? More than 50 percent of adults in the United States use some form of dietary supplement, according to the National Center for Complementary and Alternative Medicine. Amino acids are considered dietary supplements. L-tyrosine is an animo acid, often taken as a supplement to help manage stress and improve athletic performance. Some of its side effects include anxiety and restlessness. Combining L-tyrosine supplementation with caffeine may increase these effects, and you may want to discuss the combination with your doctor before taking them together. Your body is able to manufacture its own tyrosine from the metabolism of phenylalanine, making it a nonessential amino acid. Tyrosine is necessary for the synthesis of brain neurotransmitters epinephrine, norepinephrine and dopamine. These neurotransmitters are important for nerve communication, and they affect your mood. Tyrosine is also an important component of melanin, a pigment found in your hair and skin. It is very rare to see an individual with low tyrosine levels, according to the University of Maryland Medical Center. Tyrosine supplementation is necessary if you have the metabolic disorder phenylketonuria, also known as PKU. If you have PKU you must avoid phenylalanine in your diet, and without it you cannot produce tyrosine on your own and must use supplements to meet your needs. Tyrosine supplements are also used to help improve memory during periods of psychological stress, but research to support this use is limited. Athletes also take tyrosine supplements to help improve their performance, but research does not support the benefits of this use. 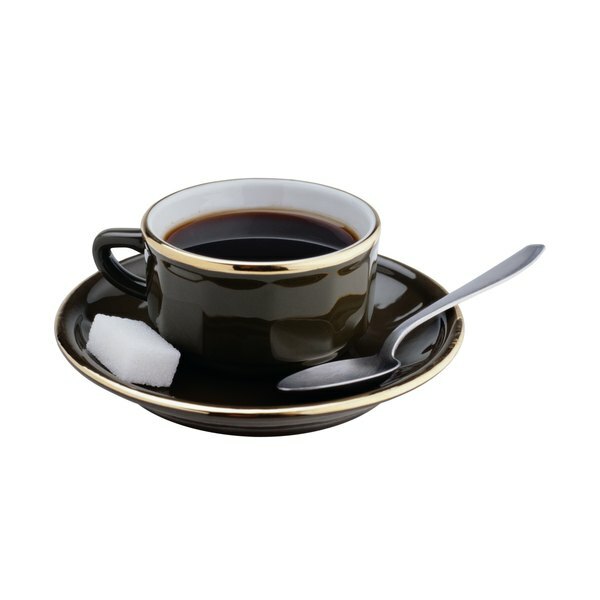 Caffeine is a chemical found in foods such as coffee, cola and some teas. Caffeine is a central nervous system stimulant and can help improve fatigue and drowsiness. In moderate amounts, consumption of caffeine is considered safe, according to MedlinePlus. A moderate amount of caffeine is about 250 milligrams a day, or about the amount in three 8-ounce cups of coffee. Caffeine is not for everybody, and it can cause side effects if you are sensitive to it or your excessive amounts. Side effects include a rapid heartbeat, anxiety, difficulty sleeping and restlessness. Tyrosine supplementation also causes side effects, including restlessness, anxiety and insomnia. It can also cause a rapid heartbeat if you take it in large doses. Taking tyrosine and caffeine together may exacerbate these symptoms, and you should take caution when combining the two.